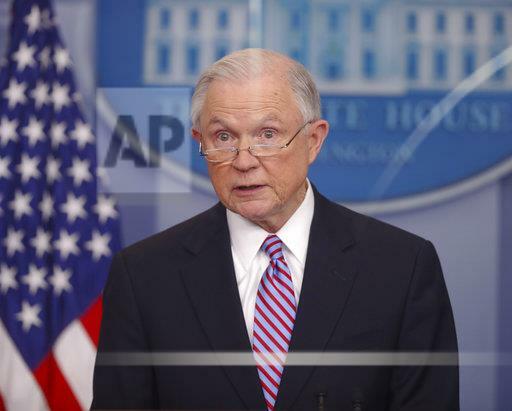 WASHINGTON (AP) — Attorney General Jeff Sessions has vigorously pushed President Donald Trump’s agenda at the Justice Department, and before that, spent 20 years championing conservative causes in the Senate. The steady diatribes , most recently a tweet excoriating Sessions for the federal indictments of two Republican congressmen, reflect Trump’s single-minded outrage over the special counsel’s Russia investigation and are all the more striking because Sessions is the cabinet member most clearly aligned with Trump’s values. Associated Press writers Michael Balsamo in Washington and Jay Reeves in Alabaster, Alabama, contributed to this report.